Description: Typical smell characteristic of natural grain, free from strange smells, mix of orange and yellow colors depending on the hybrid, free from foreign matters. NON GMO. Expansion: 38/40 - 40/42 and 42/44. Size(K10): 65-75 grains in 10 grams. Packing: Multiwall kraft paper bags of 10 kg / 20 kg / 50 pounds and 25 kg. Polypropylene bags of 50 kg. Big bags of 1,000 kg. Volume per 20 feet container: Approximately 25 Mton. Argentina is the largest world exporter of unpopped popcorn and the second producer behind the United States, that doubles the Argentine production but has a domestic consumption that demands about 90% of the total offer. Argentina has been growing in quantity and quality during the last years and has achieved a reputation of trustable supplier of this product, whose demand grows year after year and actually is being exported to more than 80 countries all over the world. Popcorn is entirely used for direct human consumption, either by cooking it at home or as an industrial prepared product for its cooking in microwaves. It is normally consume as a snack and in Argentina in particular, its consumption is very popular in public places such as cinemas and bars, but not that much at home. Due to this cultural pattern, and its low population (40M people in such a big country), the local market it not significant at all and oppositely to what happens in the United States, Argentina exports nearly 95% of its total production every year. 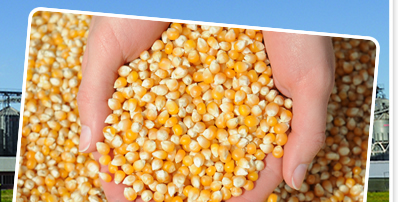 The popcorn grain is round, half size of the regular corn one, and its color is a mixture between orange and yellow, depending on the hybrid. -	Expansion: it refers to the capacity the grain has to expand a certain weight into a certain volume and is measured in cm3 per gram. There is only one official machine created to measure it called CRETORS, known as MVWT (metric volume weight tester). The minimum expansion size requested by export markets is 38/40 and depending on the crop year conditions, the hybrid and the handling of the grain during and after harvest, you can obtain expansions that can reach up to 44/46. -	Explosion: refers to the number of grains capable to expand. The minimum value accepted is 97%. -	Size (Kc or K10): measures the size and weight of the grain, and is determined by the number of grains in 10 grams of weight. Normally the size rounds between 65 to 75 grains in 10 grams. It's hard to believe a snack food that tastes so good can actually be good for you! With suggestions from organizations such as the National Cancer Institute (NCI), the American Dental Association (ADA) and the American Dietetic Association (ADA), there's no doubt popcorn is a perfectly sensible snack to fit into any meal/fitness plan. - Air-popped popcorn has only 31 calories per cup; oil-popped popcorn has only 55 calories per cup. - When lightly buttered, popcorn contains about 133 calories per cup. - Popcorn is a whole grain, making it a good-for-you food. - Popcorn contains fiber, providing roughage the body needs in the daily diet. - Popcorn is naturally low in fat and calories. - Popcorn has no artificial additives or preservatives, and is sugar-free.